Zerodha is a SEBI registered Indian discount stockbroker that offers low brokerage trading and investing in the stock market. This stock broking company was founded in 2010 in Bangalore and by now the company has a presence in multiple Indian cities through its form-collection centres. These are not sub-broker or franchise offices but just offline centres where users can open an account with Zerodha. The discount broker is a member of National Stock Exchange of India (NSE), Bombay Stock Exchange (BSE), Multi Commodity Exchange and MCX-SX. They have a total client base of more than 7 lakhs and claims to handle daily turnover of ₹10k – 12k crores in equities and ₹1k crores in commodities. The discount broker offers Varsity, a free online portal on basic and advanced education on trading. Such initiatives easily create brand trust among the current and potential client base. At the same time this discount stock broker, as an employer, has more than 1000 employees throughout the country. This discount stock broker reported a Profit After Tax (PAT) of ₹100 crore+ for the Financial year 2018-19 at SEBI. This clearly implies, it is already in decent profit and certainly is one of the safest stockbrokers in the country. It is known for its regular innovations and disruptions in the financial investment industry. With its products and collaborations such as Coin and Smallcase, it is trying well to keep the overall investment and trading process simple and uncomplicated for clients. You can now invest in Government Securities, bonds and T-bills using your Zerodha Coin account. This is another recent initiative the broker has come up with in order to enlarge its product base for existing clients and of course the potential client base as well. Zerodha allows trading at a very low brokerage rate and traders who are looking to trade only in the delivery segment, there is no brokerage at all. In other segments as well, the brokerage is pretty low (explained later). Zerodha has a total registered active client base of 7,47,501 as per 2018. Zerodha now provides its own Demat account, unlike the early times when it had a partnership with IL&FS that provided the demat services to the clients of Zeordha. A Demat account is used to store the securities and other investment products you buy from the stock market. If you have existing shares lying with you with any other broker, you may choose to transfer shares from one demat account to demat in Zerodha. Furthermore, if you have shares in physical form, you can get the dematerialization done into your demat account as well. When you buy or sell securities from the share market, you need a separate account for such activities. That account is called the Trading account and Zerodha has a provision for that. This is different from the demat account since the storage part of the bought securities is outside the scope of the trading account. For more information, you can check Demat Account Vs Trading account. If you are looking to perform just intraday trading, then ideally you just need a trading account and demat account opening is not required. This is valid across all stockbrokers in India, although Zerodha may force you to open the Demat account anyway. If you are looking to invest in commodities, then you would need to open your commodity account with Zerodha separately. Furthermore, you are required to open a demat account as well and you cannot open just the commodity account in isolation. Charges for all these types of account are separate at both account opening as well as account maintenance levels. In the early days when Zerodha was established, what it offered to its client base was a bunch of outsourced trading applications that were developed and maintained outside the control of the discount stock broker. But, by time, the broker as one of the very few lone runners, has been able to produce high-quality trading applications across devices for its clients. Major aspects of trading platforms such as the design, user experience, usability, performance, integrations and more have been taken care of while developing these applications. Kite Mobile is a mobile app version of Kite Web and pretty much carries all the functionalities present in it. The tool was launched in November 2015 and can be used in all kinds of devices including Desktop, laptop, mobile & tablet. Kite Connect is marketed as a ‘Platform As a Service’. This tool is basically a set of simple APIs which is built on top of Zerodha’s web-based trading platform, Kite. This platform allows the clients to get programmatic access to valuable data points such as profile and funds information, order history, positions, live quotes and so on. At the same time, it enables users to manage the portfolio as well as place orders at their convenience. 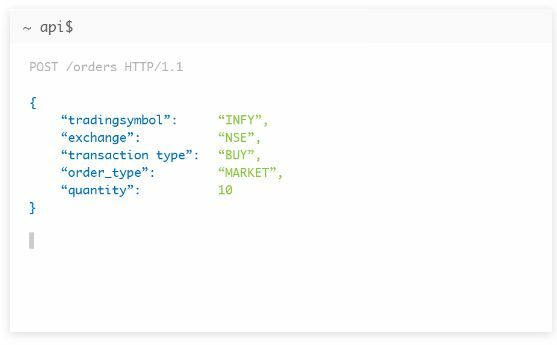 With Kite Connect API, users can build their own trading experience. 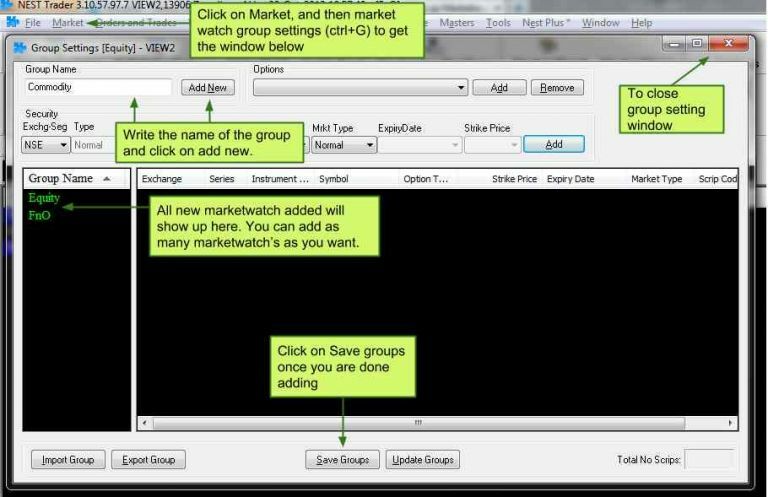 This is a unique proposition by the discount stock broker where a user can get real-time updates on trade from profitable traders so that they can learn and improve their trading skills and thus, make better decisions. New users can follow traders and thus, improve their trading skills over time. This platform is exclusively open to the clients of this discount stock broker. Zerodha is known for a wide range of its trading platforms and the focus of these trading platforms is primarily towards speed and user experience. However, still, at times these softwares fail to handle huge traffic numbers. Zerodha trader is a customized version of the terminal based trading application – NEST trader. This application allows you to trade across currency, commodity, equity, derivatives trading segments. The application works well on the Windows platform but the MAC version of Zerodha trader is relatively very basic in terms of the number of features it provides. Coin is a recent initiative by Zerodha that allows clients to invest in mutual funds directly without any distributor or fund house. This is a first of its kind initiative where clients can place orders to buy mutual funds by clicking a couple of buttons after choosing the mutual fund. It’s highly attractive for people who want to place less risk through their investments and want a reasonable return. For detailed reference, click here. Zerodha Streak is one of the latest additions to the discount broker’s armoury of trading applications and tools. Although Streak is a separate entity, Zeordha (through Rainmatter) has invested an amount of ₹2.25 Crores in it. Streak is basically an algo trading analysis and signalling tool that directly helps you to use algorithms in your trades. All this is done without you doing any piece of coding or knowing how algo trading works. It basically takes in some inputs around your trade and provides you specific information on your profit returns while you backtest your strategy. If you like it, you can choose to deploy the strategy and thus, input your order. For more, you can also check this detailed review on Algo Trading with Zerodha. Zerodha smallcase is basically a partnership between the discount broker and Smallcase (a small start-up) that works together to provide themantic investment options for their clients. Users need to open a demat account with the discount stock broker and they can access themantic investment options through their portal. Its an investment option for people who find it hard to perform fundamental analysis and are looking for accurate investment advisory. Zerodha allows its users to add extra protection to their positions by adding a bracket and trailing stop loss order features to its platforms. Zerodha Sentinel is a price alerts tool that provides you with notifications even if you are not logged in the system. The tool comes with around 15 pre-defined conditions that a trader like yourself can configure as per your requirements and get notified on specific stocks or indices. Sentinel comes in both free as well as paid versions. The free version allows 30 triggers while the paid version offers 100+ triggers with advanced alerts mechanism. Zerodha is one of the few stockbrokers in India that provides stock market education content to users. You don’t need to be a client of this discount broker in order to access these education pieces nor you need to buy any subscription. The broker provides this educational content for free for all its website visitors. The content covered is useful for all kinds of traders whether you are beginner, intermediate or advanced level trader. As it can be seen there are very limited communication channels offered by the broker for its clients to reach out to them. Furthermore, customer service lags a lot in terms of quickness and actual resolution quality. Further, the communication skills of the support executives can also be improved so that the brand Zerodha has become, gets reflected through these touch points as well. Although, as seen in a lot of forums, Nitin Kamath, CEO of this discount broking firm himself tries to resolve some of the queries raised by the users that attitude certainly needs to be sprinkled across the customer relations team. As a discount broker, it does not have an in-house research team for its clients but it has come up with solutions such as Open Trade where users can connect with heavy traders and learn from their experiences at the real-time basis. Other than that, clients need to perform their own analysis and research for trading or investing in the stock market. They have also recently collaborated with Thomson Reuters for advanced reports named StockReports+. With this feature, the clients of Zerodha can subscribe to different paid plans and receive different reports of various listed companies. If you are opening an account expecting that the broker will provide you with regular intraday tips or fundamental research of any kind, then you need to understand that it will not be possible. Like any other discount broker, Zerodha DOES NOT provide any research, tips or recommendations to its clients by any means. With that said, be wary of a few executives who may go ahead and make some false promises to achieve their incentives. If they claim strongly, request them to show the same on the broker’s website to confirm their claim. To know more about OpenTrade, please keep reading. This service has been discontinued by Zerodha recently. 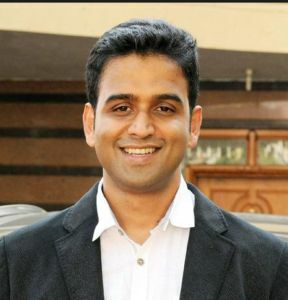 In today’s socially connected world, Zerodha has experimented with a social advisory initiative where the broker selects a set of traders from its trading community. These selected traders are filtered based on their profit trends while trading. Normal traders or beginners or anyone for that matter can follow these selected traders and see what trades they are placing. The selected traders are provided with some fee that is charged as a subscription charge from the traders following them. Thus instead of going for any advisory services, you may choose to follow such traders within this platform and place your trades accordingly. Next, let’s talk about money. Apart from that, other charges such as STT, Transaction charges, service tax, charges by SEBI are added up to the overall payment. Like any other discount broker, Zeorhda levies transaction charges on the trades you place. These transaction charges are not kept by the broker but are passed onto different regulatory bodies. Also, check Zerodha Brokerage Calculator for detailed information on all sorts of charges this discount broker levies apart from the brokerage rates mentioned above. “Zerodha charges ₹20 per order execution for using Call and Trade facility. *For people who don’t understand the concept of Exposure or leverage, it is basically a short-term loan offered by the stockbroker to its clients so that they can trade or invest at a much higher scale. The loan is offered at an interest rate in the range of 15% to 20%. This is an easy way of transferring funds from your linked bank account into your trading account at Zerodha but at the same time, you will be charged ₹9 per transfer. Another simple way of online funds transfer and like, Zerodha Trader, this will also cost you ₹9 per transfer. With this Quick and Free method of fund transfer, your funds will be immediately transferred to the trading account. This can be done only if you use this particular application for trading. This mode of transfer is free in nature but it will take a few hours for the funds’ transfer to happen. With this offline method, you can certainly transfer funds to your trading account through the cheque slip of your linked bank account. A scanned copy of the dropped cheque will be required to be submitted if you use this method. Withdrawals, however, can only be done through the back office where you need to raise a request and all the requests are processed within a day or two. No direct integration of the back office with the trading platforms. User data gets updated every night. Not much of an exposure offered to clients across segments. Good till Cancelled/Date orders available only for commodity segment. Call and trade facility is provided at a specific price and is not free. In total, 99 complaints have been lodged at NSE (National Stock Exchange) against Zerodha by its clients. For more information, check this detailed review on Zerodha Complaints. In more of the Zerodha Customer Reviews, we have seen that the major concerns are reported in their customer service, issues with order execution through Kite Mobile App (at times) and limited margin. If you have gone across any such experience, feel free to share in the comments section below. Equity delivery is provided at no cost, low brokerage in other segments. Free User education in trading and investment basics through Zerodha Varsity (explained above). Provides a 3 in 1 Demat account in association with IDFC bank (a recent initiative). Flat rate for stock trading, futures & options, currency and commodity. Different tech partnerships (Zerodha Sentinel, Streak, Smallcase for instance) to enable clients with better control. Innovative trading platforms across devices including terminal software, web application and mobile app. There are no hidden charges involved along with free software usage. Although Zerodha is a discount broker, it still provides offline presence across 75 different locations in India. Direct Mutual fund investments allowed through Zerodha Coin. Its 60-day challenge is a unique proposition for clients. No minimum account balance needed in your trading account. Algo-trading allowed with minimal manual effort. A margin is provided to the clients across different trading segments. Own DP Service since 2016. NRI services provided for trading. “Zerodha is one of the top growing discount stock brokers in India. In fact, it brought the concept of discount broking in India and post that the overall dynamics of the stockbroking space has seen a huge transformation. It is good with pricing, customer education, trading platforms and thus, these are some of the reasons why they have been able to grab high client base every year. Enter your details and we will arrange the Free Call Back! Provide your details here at the Zerodha Account Opening Form. Post this, there are 2 ways to get started. Zerodha is a leading discount broker in India that offers low brokerage charges across investment segments and is well suited for people who are looking to place a high number of trades on a daily basis. The broker offers reasonable performance in its trading softwares with average customer service. The broker has its headquarters in Bangalore but has a presence in over 75 other cities across different parts of India. Last checked, the discount broker had an active client base of over 7 lakh and is set to be the number one broker in India in terms of its client base in the next few months. Is Zerodha a Reliable Stock Broker? If you are thinking about the reliability of its trading platforms, then yea, most of the time, all of its trading platforms perform well. Be it speed, order execution performance, features – you can certainly rely on this discount stock broker. Having said that, there are instances of high traffic where one or more applications get stuck, hang or freeze. So it is advised to use a desktop or phone with a decent configuration to have a seamless trading experience. 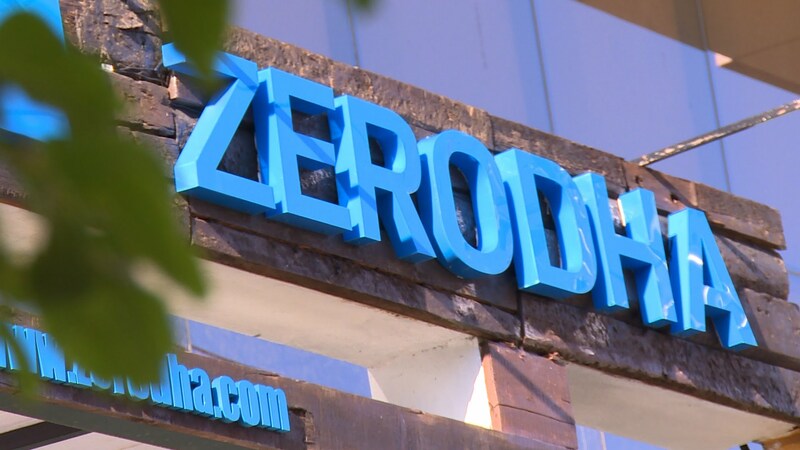 Is Zerodha a Depository Participant or Not? Yes, it is now. Prior to 2016, they have a partnership running but now, they themselves are registered as a Depository Participant. Is Zerodha Trustworthy? How Safe is Zerodha? This discount stock broker was incorporated in the year 2010, so it has been good 7 years since its establishment. They filed a profit of ₹60 Crore for the Financial year 2016-17. To give you a perspective, Angel Broking registered a profit of ₹30 Crore for the same year. In the latest earnings report, the discount broker booked a profit in excess of ₹100 Crore. These reasons do give a clear idea that this discount broker has been able to see scale as well as growth in the last 7 years of its existence and thus, clients can assume that it is a safe discount broker. To know more, you can check this detailed review on Is Zerodha Safe? Where to send Zerodha documents? Although you can upload the documents through their online portal while registering yourself as a client of the broker, you can also send the hard self-attested copies to Zerodha as well. How Zerodha Works? How Zerodha Makes Profits with Zero Brokerage? Zerodha works as a broker that instead of charging you a percentage of your trade value, charges you with a fixed maximum brokerage of ₹20 except in your delivery trades (which is free). Since, they do not provide research, offline assistance etc, thus, their operational costs are relatively lower than those of full-service brokers. This discount broker plays a volume-based game and keeps its charges low so that the overall revenue and profit is sizable. Apart from that, from time to time, Zerodha comes up with various subscription-based products that bring additional revenue streams for the broker. I forgot my Zerodha Password? How can I recover? Retrieving your password is a pretty straight-forward task. All you need to do is Click on “Forgot Password” link shown on the Kite login page. Enter your registered Email Id, PAN number along with your User Id and submit. A new password will be auto-generated and you can log in into your Zerodha account using those credentials. At the same time, you are suggested to change your password as per your preference right after you log in for the first time with the auto-generated password. I forgot my Zerodha User Id? How can I recover? Your UserId is a 6 character alphanumeric Id that is used across platforms. In all the communication emails and definitely in your welcome email post account activation – this UserId is mentioned. In case you do not have access to the system, you may choose to call Zerodha Customer Care with your registered mobile number, provide the executive with your PAN number and DOB – the UserId will be confirmed to you over the call itself. What is the maximum brokerage charged by Zerodha? First of all, the broker does not charge anything on the delivery trades while in other products you are charged ₹20 or 0.01% of your trade value, whichever is lower. Pretty sweet deal! What are the different Zerodha Order Types Available? Can I Invest in Mutual funds using Zerodha? Yes, you can do that in both direct and indirect ways. The indirect way is the conventional route where you can place buy orders on the chosen mutual funds. In a direct way, you can choose to use Zerodha Coin that gives you a ready to use a platform to directly see the trend and patterns of mutual funds. This application gives you a provision to place direct mutual fund orders. You can check out the detailed review here. Is IPO Investment possible with Zerodha? No, direct investment in IPOs through Zerodha is not possible. However, this can be done indirectly using your demat account in any bank (ICICI, HDFC, Axis). This methodology is called ASBA and requires you to get the amount blocked in your bank account for which you are looking to invest for the IPO. Does Zerodha provide Tips and recommendations? No, the discount stock broker does not provide any kinds of tips, recommendations, research reports etc. What are the pain problems with Zerodha? hiccups in their trading platforms can be got rid of. To know more, you can check this detailed review on Zerodha problems. Does Zerodha provide automated trading? Yes, the retail clients of the discount stock broker can avail the feature of automated trading. 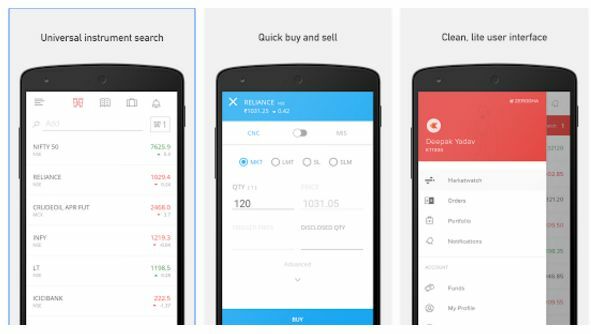 How is the mobile app of Zerodha? The mobile app is called Kite mobile and it is certainly one of the best-performing ones in the industry. You can check out the detailed review of Zerodha Kite Mobile App. How are the webinars offered by Zerodha on Youtube? 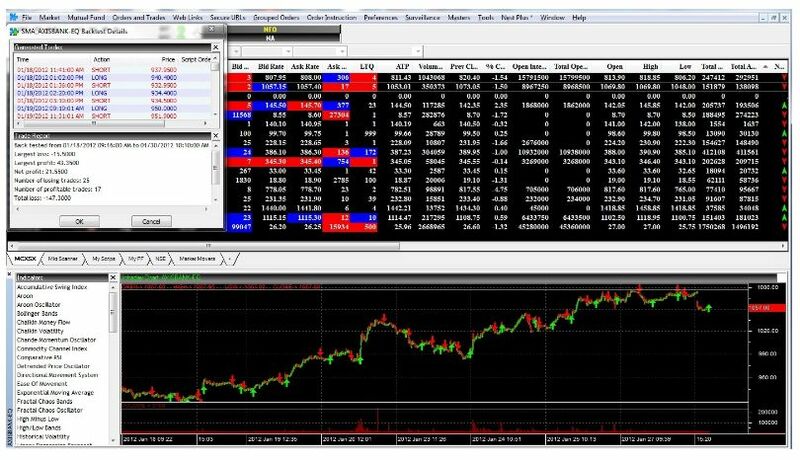 The discount stock broker provides webinars on its Youtube channel on a regular basis. These webinars are based on the trading platforms offered by the broker where different experts walk-through the features of these softwares. How much is the Equity Leverage offered by Zerodha? Leverage or margin varies by the script. It also depends on the volatility in the market for that particular day. 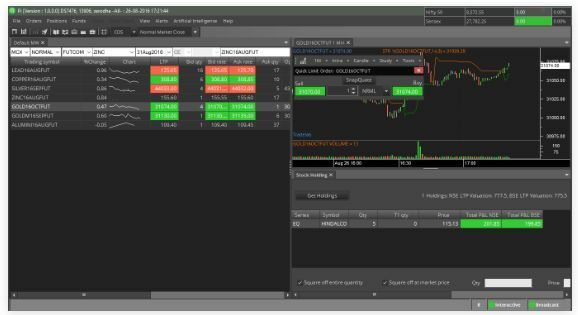 The broker offers a tool called SPAN Calculator where users can calculate the margin requirements for option writing/shorting or for multi-leg F&O strategies while trading equity, F&O, commodity and currency. What are Zerodha rates for account opening? To open a trading account, you are charged ₹300 and for the demat account, the cost is ₹100. Both of these charges are one-time costs. What are the Zerodha yearly charges? Users are required to pay ₹300 as annual maintenance charges or AMC on a yearly basis to this discount stock broker. I want to change my bank account linked with my Zeordha trading account. How can I do it? The documents are then required to be sent to the broker’s headquarters in Bangalore. Can an NRI open Demat account with Zerodha? Yes, an NRI can legally open a demat and trading account with Zerodha, however, trading is not allowed in Currency and Commodity segments for such accounts. You are required to obtain a PIS (Portfolio Investment Scheme) permission letter from the RBI along with the rest of the documents. The bank where you have opened up your NRI account will assist you in getting the PIS once you provide them with a few documentation. Can a Student open a trading account with Zerodha? As long as you are looking to trade in derivatives, Yes – a student can open a trading account with Zerodha. All you need is to be of 18 years of age and have a valid PAN card. Income proof is only required for derivative trading. How is Zerodha IPV done? Is it Mandatory? IPV or In-Person Verification is definitely mandatory, not only with Zerodha but with all the registered stockbrokers in India. Though an IPV, an in-person meeting is done by the executive of the broker with the client to confirm that the person who provided the documentation and the one being met are the same. This has been relaxed recently by the regulatory bodies and now the same verification can be done online through different video call mechanisms. In case of Zerodha IPV, this can be done through a webcam or even by Skype/Whatsapp call. An OTP will be sent to the registered email/mobile number and the client needs to show the same OTP on the screen in order to validate IPV. A screenshot is taken as a proof for any future references and the whole process gets completed within a few seconds without any requirement of a physical meeting. Where is the Zerodha office in Mumbai? This broker has its registered office headquartered in Bangalore. You can check details of Zerodha Branches and information on Stock brokers in Mumbai as well. Coin is a new initiative from the discount stock broker where users can invest in mutual funds directly without using any intermediaries, distributor or funds house. Recently, the discount broker has made the platform free-to-use and there are no separate charges levied on your mutual fund investments through Coin. As mentioned earlier, the discount broker now offers Government securities, bonds including Sovereign gold bond scheme. In this scheme, you can invest in Gold and get a fixed return of 2.5% along with the regular market returns on Gold on a yearly basis. Kite application can be used for this investment. With this, users are given a provision to use the concept of themantic investing in their investments. How to Put Stop Loss in Zerodha? Once you log in to the Kite application, look for ‘More Options’ section. For instance, if you are placing a Bracket order, you will input fields of Stop Loss and Target Price. Here you can enter the stop loss value and may choose to ignore the target price and the trailing stop loss fields. In case you are placing a Cover order, there will be a range displayed along with the Stop Loss field. You can enter any value between the range in that field to set the stop loss. Demat account is a must for an individual who is planning to buy and sell shares and can be used to hold shares in the electronic form. It was easy to transfer funds from my saving account to, so the high transaction charges did not bother me. Demat means dematerialising shares into digital format rather than on physical paper. The demat account is used as a bank where shares bought are deposited in, and where shares sold are taken from. You will get a single account for demat & trading. to writing. I have had a difficult time clearing my thoughts in getting my thoughts out. Strongly suggest…don’t use their crazy service. They are simply bloody suckers. Very very poor customer service. I realized this within few days that choosing zerodha for trading was a very wrong decision. But guess what, within one day I sent them request to close my account…which was not even active, but they simply denied my request. They don’t even returned my money which they deducted twice for opening an account. I simply got stuck, then I decide ok lets do it. But unfortunately, this was not the end. These people keep asking to send some stupid POA document by international courier from Denmark to India again and again and again.., and they won’t even accept it which I sent them. Having said that I showed them these docs by scanning before sending it by courier. But they don’t value their international clients time and money. Because they didn’t activate my account upto 3 weeks, I was only able to buy shares and can’t sell it. I requested them many time to please activate my account…all those docs are mine.,…I only sent them…but they refused all my request and I ended up losing all my money in that share which I wanted to resale at right time. I would strongly suggest please don’t ever open account with this stupid service so called Zerodha. If you want more information you can directly write to me.